I’m a day late on this — sorry! 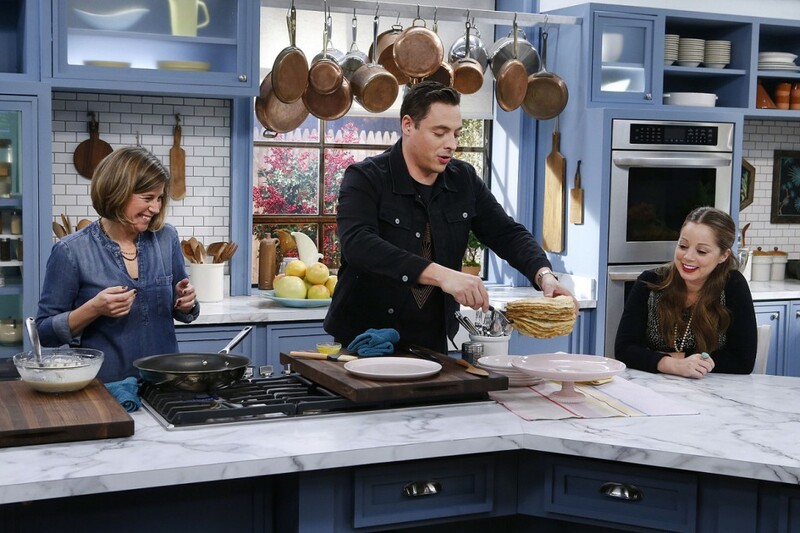 — but a quick update to let you know that I was on Food Network’s “The Kitchen” yesterday (that’s Jeff Mauro and Marcela Valladolid up there!) talking champagne brunch, How to Celebrate Everything, and the ridiculously happy pancake “cake” you are looking at below. If you are like us, with one more day left of vacation and looking for a way to LEAVE IT ALL ON THE FIELD, this is your recipe. 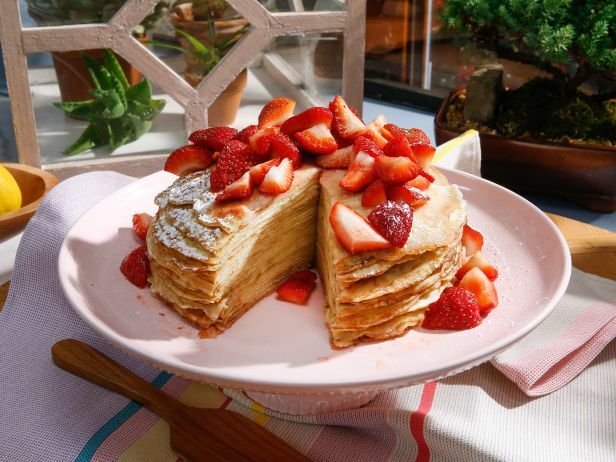 It’s like a crepe cake — every bit as delicious and indulgent, but since you’re making half as many layers, not nearly as laborious. Trust me on this, if you are a Sunday Pancake Ritual family, this is a pretty legit way to take it to the next level. Can’t wait for the episode to be available to watch online. This is was the only time I was disappointed I’d cancelled cable! My husband fulfilled my wish list this Christmas with a copy of How to Celebrate Everything, and I’ve already read it cover to cover. Love, love, love! There is nothing better than a recipe with a great story behind it, and you’ve given us that on nearly every page. Thanks so much for a great read! congratulations and thank you for this recipe, looks wonderfully different!